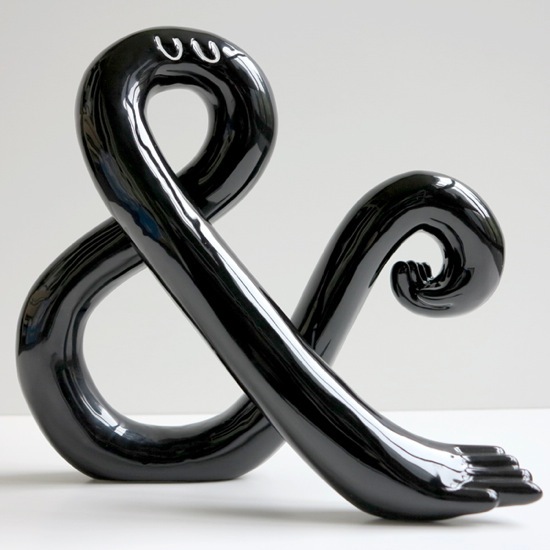 Steven Harrington’s original You & I sculpture is back, now in a brand-new, shiny black color way. Fun. Harrington’s first three-dimensional exploration represents the epitome of his work’s goal—to create a dialogue between artist and viewer. We first covered Steve Harrington back in 2005 and it’s been grew to watch him grow and evolve as an artist. Josh Spear: I'm a frequent-flyer-mile-collector trying to visit every country in the world, sushi addict that loves omakase and active investor. Since 2004 this site has been a place for me to share highlights from art, culture, technology and global trends that I care about.